New for this year, Canola Watch will include observations from “Sentinel fields”. Each Canola Council of Canada agronomy specialist will have at least one field they scout regularly through the season. Can you correctly identify these four weeds? Three are fairly common. One may be unfamiliar to you. A farmer is seeding Roundup Ready canola and the field has a lot of winter wheat volunteers and some perennials. Is the farmer better to seed or spray first? Answer: In this situation, with Roundup Ready canola being able to take a glyphosate application at any time up to the 6-leaf stage, the farmer may want to take advantage of good seeding conditions and seed, then spray as soon as possible after seeding. Reasons…. 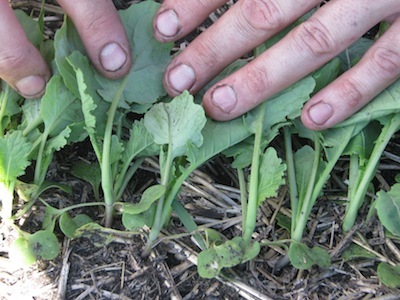 Volunteer canola is a weed and competes with the crop for nutrients and water and sunlight. Volunteers in a canola crop do not make a positive contribution to yield. Growers also have other reasons to get rid of them: Volunteers do not have seed treatment, so they can introduce seedling diseases and increase flea beetle pressure. Also, volunteers in non canola years provide a host for blackleg, clubroot and insects, reducing the effectiveness of crop rotation for managing these issues. 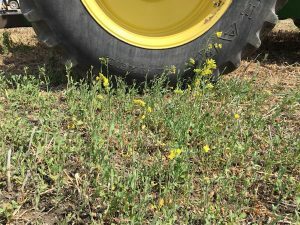 If choosing to seed before spraying, weeds present will have a minimum five days — usually more — before the crop emerges. These weeds can advance very quickly in good conditions, which is why growers who seed before spraying may choose to apply in the narrow post-seeding pre-emergence window. In early to mid May, when seeding is in full swing and conditions are good, growers can slow down and take their time. Canola growers have four good economic reasons to do so…. 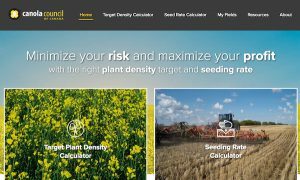 The new Canola Calculator has two tools to help growers set seeding rates and plant stands that match seed size, risk factors and estimated seed survival. We’d like to know how spring-harvested canola worked out for you. Please take a moment to share your experiences and provide Canola Watch some feedback. Thank you. Canola combined this spring has been coming off dry and cool. Should it go on aeration? Those same moist fields that have delayed spring harvest as well as seeding in central Alberta (and some other regions) also mean more mud clinging to equipment. More mud means more clubroot spores riding along on tires and equipment frames. Though the time crunch is on, knocking off as much mud as possible will reduce clubroot spread. 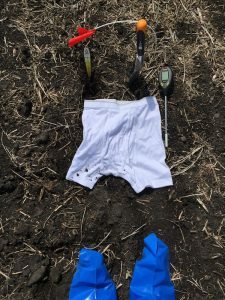 In these conditions, fields known to have clubroot spores should be worked last. canolaPALOOZA – Register now for June 20 in Saskatoon, June 22 in Portage la Prairie and June 27 in Lacombe. Details. Canola Week, including Canola Discovery Forum – Mark the calendar for December 5-7 in Saskatoon.